This entry was posted in AdWords Agency Blog and tagged AdWords on March 8, 2019 by Nicole Burgan. This entry was posted in AdWords Agency Blog and tagged AdWords, Google Assistant on December 20, 2018 by Nicole Burgan. Every year, the leading agencies and brands meet in the south of France at the Cannes Lions Festival to celebrate and learn about cutting-edge technologies and creative work. The festival inspires the next wave of innovation that can break through and reach increasingly discerning consumers. The Google Assistant team is showcasing new ways to interact with your customers: by assisting them to get things done. We’ve seen people’s expectations change driven by an even more curious, demanding, and impatient consumer, and to rise to these expectations we need to not just help consumers find the information they want, but also help them do more with it. This is where the Google Assistant comes in. To show how your brand can—or how you can help brands—reach new customers in assistive ways, we’re on the beach at Cannes with a set of creative Actions our partners built for the Assistant, to help their customers get things done in new devices and contexts. We hosted a panel on the subject earlier this week – check it out here. 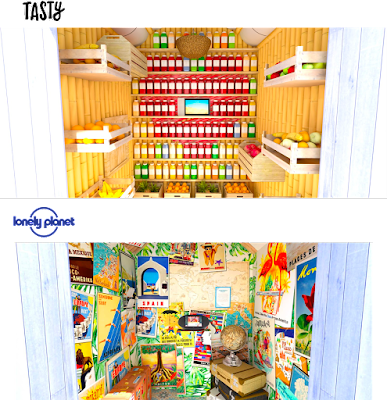 In our beach huts, you’ll see how Actions can help a customer plan a trip with Lonely Planet, or help customers complete a step-by-step recipe with Tasty--all powered by voice and visuals, in assistive context with the Google Assistant. Apply a little sunscreen and drop by to try them yourself, or see our full schedule at Cannes to meet the rest of the Google team. 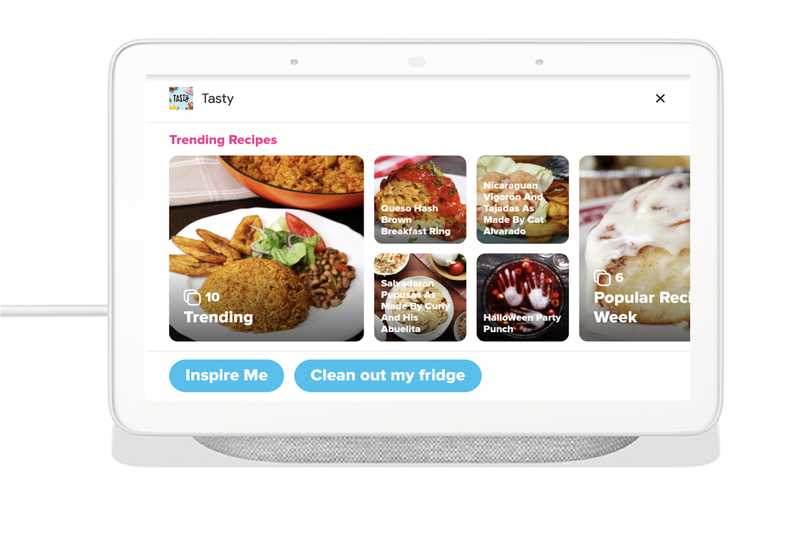 We’ve been fortunate enough to also work with leading agencies that have already built for the Google Assistant as some of the early adopters to experiment with our platform. Rehab, for example, built Safari Mixer, a playful game where people can invent a brand new animal by combining the head, body, and legs of various animals. Should brands be investing in voice-enabled devices already? Why? How should brands think about their presence in an Assistant ecosystem in relation to the rest of their digital presence? Can voice and conversation enable new use cases for brands and their businesses? If so, why? What challenges do brands face in this new age of voice-enabled experiences? How can they navigate them? What are you most excited about for the future of these voice-enabled devices and experiences? Where do you foresee this ecosystem going? Knowing full well that brands are interested in how they can get ahead of the curve for this new age of assistance, we also launched a new website that can help you navigate the fundamentals in building for the Google Assistant, supported with case studies from WeMo, Akinator, and SongPop. And if you’re an agency already building Actions, we’d love to hear from you. Just reach out here and we’ll see if we can offer some help along the way! This entry was posted in AdWords Agency Blog and tagged AdWords on June 19, 2018 by Nicole Burgan. Attending an event is a great way to further your specialist knowledge, gather new insights, and get a fresh perspective on your industry (while taking a welcome break from the office). But have you ever considered using the day as an opportunity to meet and recruit new customers? The people you meet at an event have the potential to become some of the most valuable on your roster. After all you have a built-in conversation starter. Whether it’s the subject matter of the day, the venue, or even the quality of the coffee at the refreshments table, you don’t have to lead in with a cold open but instead begin to create a real connection. Chances are if they’re attending the same event as you, the person you’re speaking to already has a baseline subject knowledge of your industry. So, you can skip the explanations and get straight to the nitty gritty. This all sounds great, but sometimes making the leap from polite small talk to conversion is easier said than done. That’s why Google has put together a helpful video and infographic to help you utilize an event as a tool for customer recruitment. This covers everything from preparing for the event itself, how to network on the day, right through to carrying out successful follow-up afterwards. You’ll never attend an event the same way again. Check out our infographic and video to discover more top tips on winning leads from events. This entry was posted in AdWords Agency Blog and tagged Account Manager, AdWords, Agency, best practises, customer recruitment, Events, insights, marketing, pitch, skills on June 11, 2018 by Nicole Burgan. Think of the best managers you’ve ever worked with. What makes them stand out in your mind? Was it their compassion? Their problem-solving abilities? Maybe their knowledge of their field and willingness to teach? It can be difficult to pinpoint what exactly makes a great leader, because a truly great leader and a great manager has a combination of qualities. It’s about more than turning a blind eye when you take a long lunch; a great manager is one who will help you to excel in your field and give you the tools to grow. This type of leader is extremely laid back. They don't directly supervise staff and rarely offer feedback. Autocratic leaders are lone wolves, making decisions without giving their staff a say in matters. A more democratic leadership style where managers value their team’s input before making decisions. Transactional managers are goal-oriented and will reward or punish their teams based on performance. These leaders are big-picture thinkers and motivate their staff through communication and visibility. Different types of people thrive under different types of leadership, sometimes being a great manager means being a combination of all five. For example a laissez-faire style of manager doesn’t often provide feedback and support to their staff, and while some staff might feel unsupported, others prefer the hands-off approach in order to prove they can be an independent worker. Autocratic leaders tend to make decisions without consulting their staff, while participative leaders prefer to make decisions with a lot of input. It’s easy to see how different styles of leadership can rustle some feathers, so it might be worth examining what type of leadership style you most identify with and see if you might be excluding some of your staff. To learn more about becoming a better manager, you can check out our helpful guide - Building effective management skills - or watch the video below for more information. This entry was posted in AdWords Agency Blog and tagged Account Manager, AdWords, AdWords API, Agency, Best Practices, good manager, insights, Leadership, leadership style, leadership type, management, management style, skills, team, team management, Tips, types of leaders on May 31, 2018 by Nicole Burgan. It’s that time of year again! Join us as we unveil the latest Ads, Analytics and Platforms innovations at Google Marketing Live. Get a first look at new features and tools that will help you grow your business. Also gain access to the latest insights and trends that are shaping the future of the industry. This entry was posted in AdWords Agency Blog and tagged AdWords on May 16, 2018 by Nicole Burgan. Announcing the Premier Partner Awards 2018 — a time to recognize innovation and performance in digital marketing. Winning an award results in more than a trophy. It's a way for Premier Partners to showcase their strengths to current clients and attract new ones. We’ve listened to your feedback and made some adjustments to this year’s awards. The application process has been streamlined to focus on your great campaign work and the submission window has been extended to better accommodate your schedule. The judges will review every case study and be looking for innovative uses of technology. Regional events will bring the finalists together and give Premier Partners the chance to meet and celebrate. Winners will be awarded at the regional or country level only. Join us and apply here for the Premier Partner Awards 2018 in your region. The Premier Partner Awards 2018 honor great work with Innovation Awards in the following areas: Search, Display, Mobile, Shopping and Video. Additionally, we recognize one partner in each region with the Growing Businesses Online Award. This award goes to a company that helps clients get online, stay online, and grow online with interesting and thoughtful methods. All applications are due online by June 29, 2018. The finalists for each award will be announced on August 27, 2018. Winners will be announced at regional events between October and December. Check out the Premier Partner Awards site to learn more and apply before the June 29 deadline. This entry was posted in AdWords Agency Blog and tagged AdWords on May 9, 2018 by Nicole Burgan. This entry was posted in AdWords Agency Blog and tagged AdWords on March 15, 2018 by Nicole Burgan. This entry was posted in AdWords Agency Blog and tagged AdWords on February 8, 2018 by Nicole Burgan. A Google certification shows your clients that you have the skills that can deliver positive results for their business. That’s why we offer professional certifications in AdWords, Analytics, Mobile Site development, Digital Sales, and more - so you can show you have the product knowledge they’re looking for. Starting today, exams and certifications in Partners will be moving to a new home for growing and perfecting your advertising skills -- Google’s Academy for Ads . Academy for Ads offers fast, easy-to-use education, with training, assessments, and certifications. It will help you learn advertising concepts in an interactive format and is perfect for agencies that need to develop and demonstrate knowledge of Google ad products like AdWords or DoubleClick. Sign in to Academy for Ads to see your new account, where you’ll find your existing credentials from Google Partners. And when you’re due to retake any exams, you'll be able to do so from there. This change is only related to education and certification, so you'll still be able to access your Google Partners account at google.com/partners for company affiliation, company profile, Partner status, promotional offers, and insights. We hope you enjoy the new experience with Academy for Ads! For more information, please visit our Help Center . You can also contact your Google Partners advisor to learn more or join the Google Partners North American Advertiser Community to ask questions and chat with fellow Partners. This entry was posted in AdWords Agency Blog and tagged AdWords on January 18, 2018 by Nicole Burgan.